The Dickson Memorial Chapel was constructed in 1894 at the entrance to Greenlawn Cemetery (est. in 1807) in North Salem. 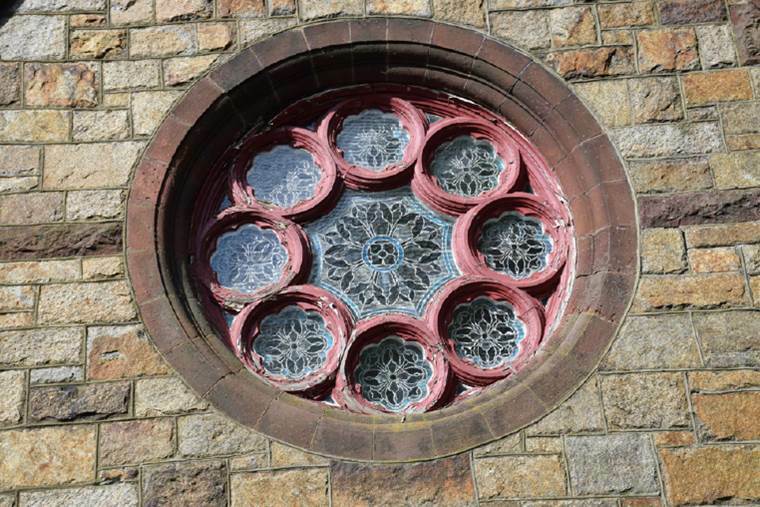 Commissioned by Salem resident Walter Scott Dickson in honor of his late wife, Georgia, the building was designed in the High Victorian Gothic style by Newton architect George F. Meacham. The Chapel is constructed of light-brown granite with olive stone and cream-colored sandstone trim in a polychromatic combination typical of the High Victorian Gothic style. 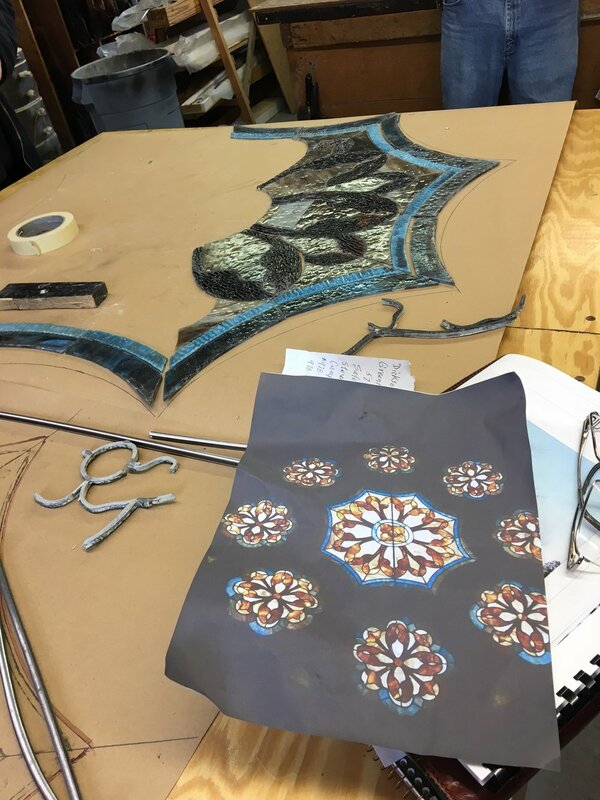 The building features pointed-arch door and window frames, wall buttresses, window tracery, stained glass, finials and other carved ornament. An original iron and glass conservatory was removed in the early 1980s. The Chapel continues to serve funereal purposes for Greenlawn Cemetery and has been used by neighborhood groups for social gatherings. In 2015, the Chapel and Greenlawn Cemetery was listed in the National Register of Historic Places. 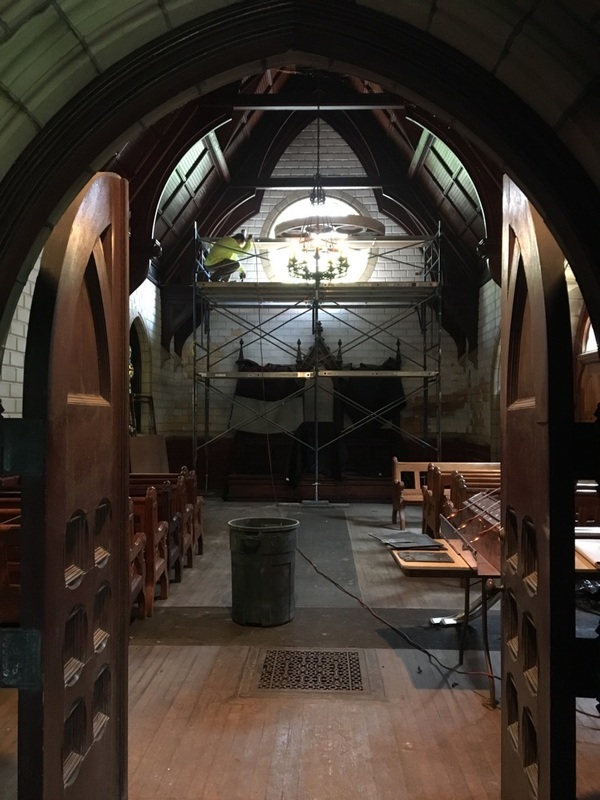 With help from the Friends of Greenlawn Cemetery, the City embarked on a multi-phase restoration of the Chapel in 2017. 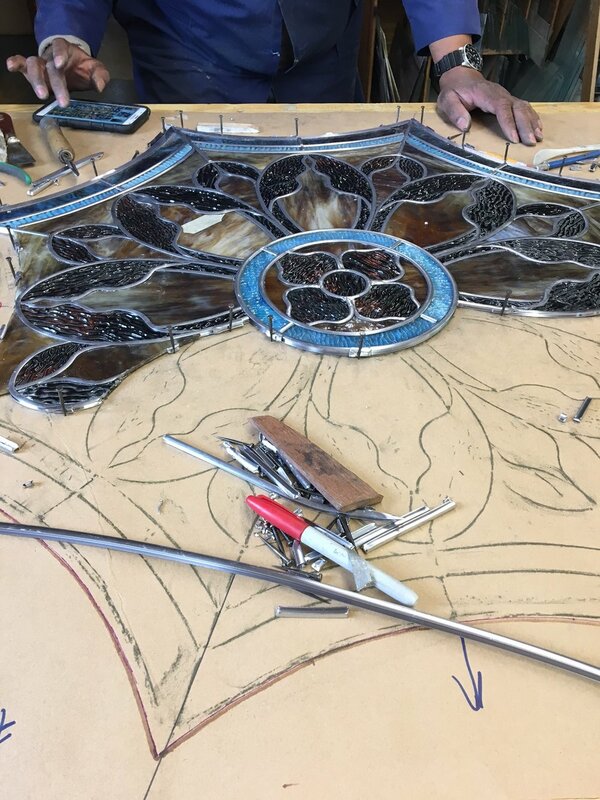 Recent restoration work at the Chapel included restoration of the stained glass rose window, replacement of undersized gutters, selected stone repointing, structural repairs to the sanctuary floor and site work in the former greenhouse foundation.